I'm Matty Zemel, and I'll be traveling to India this summer to help develop the ultimate frisbee community there. I'll do so by (1) coaching the men's national team that will be competing in London for the 2016 World Championships, and by (2) spending time with every single frisbee team in the country. I will be developing leaders from within these communities that will help frisbee grow, and will change the world (read on). Frisbee is about 8 years old in India. It's a progressive sport. Different sexes and different socioeconomic classes play frisbee together--something unheard of in other aspects of Indian life. The core values of ultimate (spirit and conflict resolution) make it a great tool for building relationships among the people that might never interact if not by playing together. I hope to inspire leaders within these communities by (1) highlighting the leaders that already exist and by (2) involving the youth in my process. I will have assistant coaches working with me, which will include a woman coaching a men's team (another unique thing to India). I hope to raise these funds as I travel around India. The funds will be used to buy frisbee gear (cleats, discs, sports bras, sweat bands) that I'll use throughout my trip to give Indian ultimate something tangible during the trip. 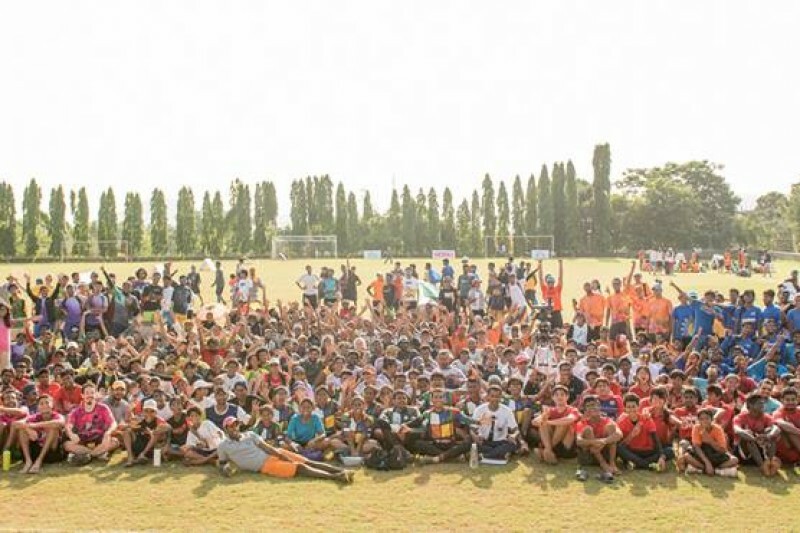 To be clear, there is already a lot of frisbee organization being done in India by Indians for the national teams and for some of my travel expenses (plane flight/room and board). These funds are extra on top of that. These funds will go to all of Indian ultimate. I have traveled my way north through India, with stops in Chennai, Bangalore, Goa, Mumbai, Pune, Surat, Ahmadabad, and now Delhi! I've made it to India! So far so good. I'm already growing quite endeared to the ultimate community here, and I'm still raising more funds. I've been to Bangalore and Chennai, next stops are Bangalore again, Goa, and Surat!